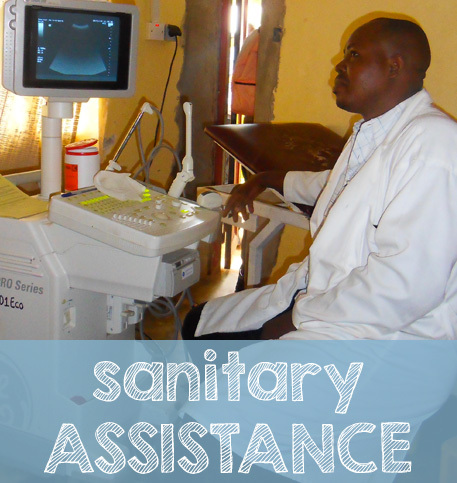 Inshuti recently sent in Rwanda fundamental equipment for the maternity departement. Inshuti recently sent to the Kiziguro hospital an ecograph for the Maternity & Gynaecology Department and a radiogrado available to all departments of the hospital. The machines were shipped by the Aurum Celeste Casorate Sempione. In 2010, a group of doctors from Varese Hospital and Macchi Foundatio visited the Hospital and underlined the lack of the most basic medical equipment. Also daily used materials were insufficient: disposable gloves, bandages, sterile containers, etc.. Thanks to the help and determination of an INSHUTI’s volunteer we managed to arrive in Rwanda two important machined. Today we are looking for other equipment for Kiziguro!